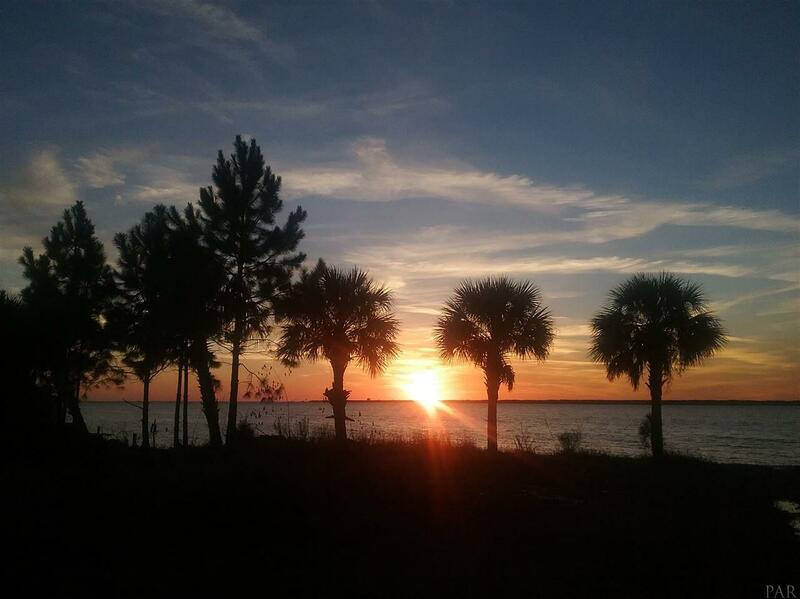 Enjoy fabulous sunsets nightly on this beautiful bay front lot. One of the few waterfront properties that are positioned for a panoramic show directly behind your house. Mature palm trees decorate the lot as you enjoy 100 feet of waterfront on .78 acres. The water and sewer taps have been paid. No wetlands. Rip rap in place to protect your shoreline and beach. Convenient to I 10 and Pensacola beach. There is one traffic light between you and downtown Pensacola, a 22 minute drive. The lot next door is available as well. Same dimensions and price. Both can be bought together for 330k.